A very special art conference is taking place at the Okinawa Convention Center on Nov. 24 and 25. The Japan Inter-Design Forum in Okinawa began in the 1980s and has been held in many cities throughout Japan. The 24th forum will be held on Okinawa with many talented artists of all fields. Many well-known personalities and lecturers including world famous architects Norihiko Dan and Noriaki Kurokawa are organizing this year’s Inter-Design Forum. A former architecture student of Yale University Graduate School, Norihiko Dan is serving as the Chairman for the event and is well known for his works on the Niijima Glass Art Center, Strada, Kamiyamacho Integral, and Hachijo Atelier. In 1991, Dan won first prize in the Ohno Ohashi Bridge Competition. 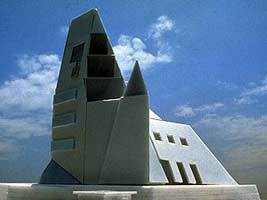 Born in 1934, Noriaki Kurokawa is a legendary architect and the youngest of the group of architects known as the metabolists. These architects perceive architectural works as living organisms, and Kurokawa plans for the growth or change of his buildings by addition or subtraction of modular units. 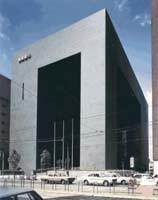 Among his most famous works are the Takara Beautilion in Osaka, the Toshiba IHI Pavilion, Hawaiian Dreamland, and the Nitto Foods Co. plant in Sagae, Japan. Much of his recent architecture has achieved considerable international recognition and has secured a series of prestigious commissions. Also, on Nov. 24 and 25 starting at 2 p.m. on Saturday, there will be an Asian song festival at the Open Sea Stage with Rinken Teruya, a very well known Okinawan traditional musician. Tickets to this event are ¥6,000 for adults and ¥3,000 for children. Tickets can be purchased at Ticketpia in Family Mart convenience stores, Tsutaya video/CD rental shops, or at the Ryubo Department Store Play Guide, Naha, located on the seventh floor of the building.